Today ONLY (8/11), Queen Size Double High Raised Mattress Inflatable Airbed is $74.95 (Retail $99.95). 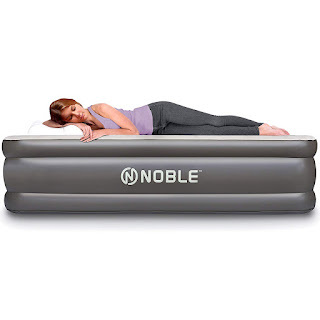 •Noble COIL BEAM AIRBED TECHNOLOGY offers a 1 - YEAR GUARANTEE! - Pillow like Cloud Flocking Layer for added comfort - We Back UP &amp; Stand Behind Our Quality!